Conversation resumed as Adam made his way around the perimeter of the oval dining room. He refused to look down or run like a frightened school boy. He maintained a measured pace and made eye contact with anyone who bothered to look in his direction. He had nothing to be ashamed of. His parents were in Italy until Thursday, or his mother would have given him an encouraging smile. Oh well. No one glared at his brother when he was on call. Grandmother never batted an eye when Alexander needed to miss Sunday lunch because he was in surgery. But heaven forbid Adam miss the monthly meal. Keeping the citizens of Carrington, North Carolina, safe was a perfectly good job as far as Grandmother was concerned. But not for a Campbell. Grandfather Campbell caught his eye. Adam didn’t bother trying to hide his smile as he left the room. His grandfather was a rock. They met for breakfast at least once a week at the Pancake Hut, and Adam regaled him with stories from the sheriff’s office. The restaurant was a favorite with the law enforcement and medical communities in Carrington, and Adam’s standing breakfast date with his grandfather had gotten a lot of attention when he’d first joined the force. The Pancake Hut wasn’t the kind of place the Campbell family frequented. As Charles Campbell made it a point to get to know Adam’s co-workers by name, Adam’s fellow officers soon realized he might be worth several billion dollars, but he was no snob. It was a poorly kept secret that Charles Campbell was in the habit of picking up the tab for every officer in the Pancake Hut whenever he was there—whether or not he was with Adam. Grandmother wasn’t exactly aware of that arrangement. Before long, the other officers would come by Adam’s desk and say, “Yo, Campbell, I’ve got one for your grandfather. He’ll get a kick out of this.” Or they’d stop by their booth and share something that had happened while they were on patrol. 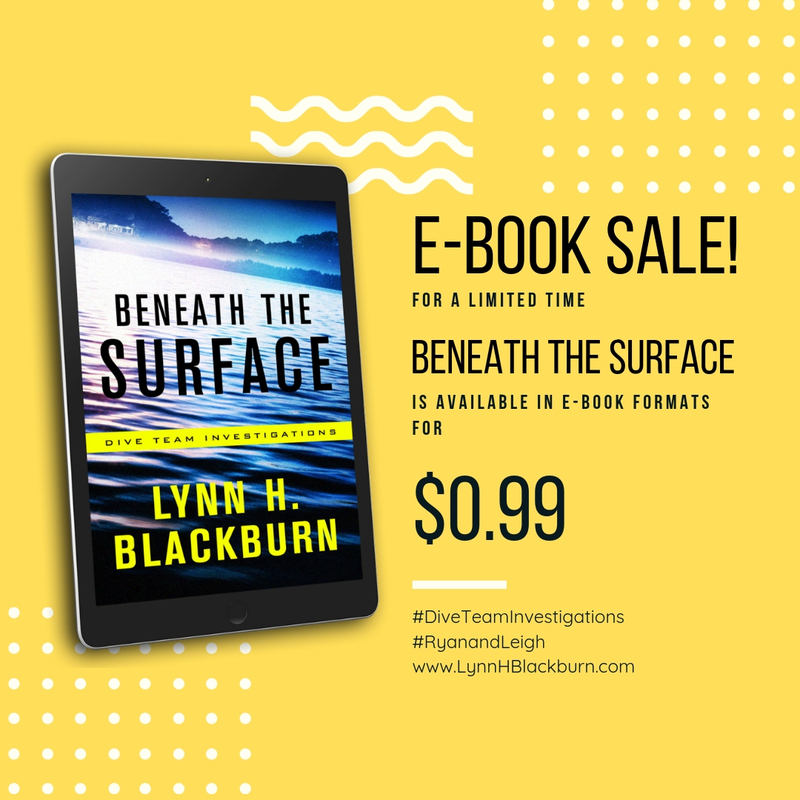 Over the last few years, Grandfather had managed to fund several scholarships for law enforcement officers, and he’d fallen completely under the spell of homicide investigator Anissa Bell, captain of the Carrington County Sheriff’s Office dive team. All Anissa had to do was hint that she’d been eyeing some new piece of equipment for the team and Grandfather made it happen. Grandmother wasn’t exactly aware of that arrangement either. Adam paused in the hallway and looked again at the text that had saved him from another hour of family politics. Uh-oh. He walked briskly as he maneuvered his way through the library and music room and then hit the marbled floor of the large foyer. “Everything okay, Mr. Adam?” The concerned words from the family’s longtime butler slowed his steps. The double bridges spanned Lake Porter and connected the tourist side of the lake to the city of Carrington. The car would have gone several hundred yards over bumpy terrain next to the bridge approach before plunging into the water. Marcel’s low chuckle reached his ears as he slid behind the wheel and took the turns of the lengthy driveway at a speed that would have gotten him on Grandmother’s bad list, if he hadn’t already been there. It took fifteen minutes to reach the double bridges. The bridges had a formal name—after a local politician from the thirties—but no one used it. This was why he tried not to drive his personal vehicle to crime scenes, but sometimes he didn’t have a choice. Grandmother had given him the car for his college graduation—even though he had told her he didn’t need it—and she didn’t approve of him arriving for Sunday lunch in the unmarked sedan he drove for work. “Ryan is hiking in the mountains with Leigh,” Gabe said. Homicide investigator Ryan Parker was the second-in-command on the dive team. His girlfriend, Leigh Weston, had survived an attack by a serial killer last spring. 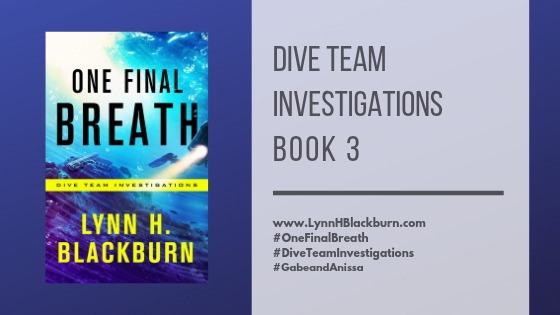 “You’ve talked to Anissa?” Gabe and Anissa hadn’t gotten along well since she’d kicked him off the dive team a few years ago when his undercover work had repeatedly kept him from making it to training dives. 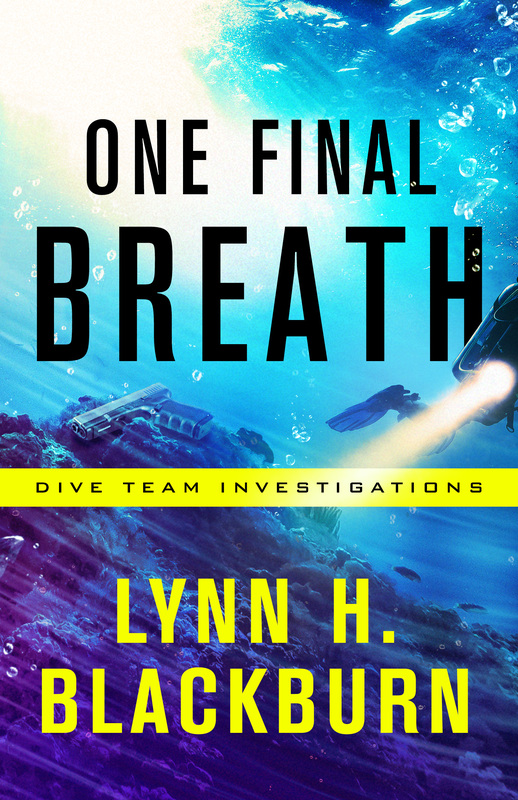 But since he’d come back to Homicide, and since two of their divers had left the team—one for medical reasons and another for retirement—she’d been encouraged to allow him back. Their relationship remained strained, but since the serial-killer case involving Leigh last spring, the tension between them had eased. “She didn’t call me,” Adam said. Adam bit back a retort. He loved his family. He really did. Some of them were awesome. Some of them weren’t. Same as most families, he imagined. And a sight better than a lot of the families he’d seen while working in the uniformed division. Even Grandmother’s disapproval, which irked him to no end, was part of her way of showing love. At least Grandfather said it was. He said she worried over her grandson far more than her frosty demeanor indicated. Adam fought the image Gabe’s words created in his mind. He was sorry for the victim. Horrified at the manner of death, whether it had been a dreadful accident or a successful suicide attempt. But he wasn’t sorry he wouldn’t have to be the one to pull her body from the water. He scrambled down the incline to the waterline. There would be no need for any of their fancy sonar equipment on this case. He could see the car from the edge of the lake. Dive team captain and homicide investigator Anissa Bell and Officer Lane Edwards were in dry suits, checking tanks and gauges. Adam didn’t bother responding to Gabe’s mutterings. Partly because he wasn’t so sure Anissa had been trying to be mean. As far as he was concerned, she’d given the worst job to him. It took him ten minutes to change into the dry suit and prep everything he would need if Anissa or Lane required assistance. He tried to ignore the shrouded body near the water’s edge. They couldn’t do anything about the evidence destroyed by the man who’d jumped in the lake and tried to save the victim. Even after he was sure she was dead, he’d gone down repeatedly until he freed her and pulled her body to the surface. Adam focused on the work Anissa and Lane were doing in the water, prepping the car to be retrieved. Dr. Sabrina Fleming was a local professor of cybersecurity and computer forensics. “What did you find?” Adam asked. The Carrington County Sheriff’s Office had a wonderful forensics team, and they did great work, but Sabrina had a lab filled with all the latest equipment as well as everything that would be needed to attempt to pull any information from the waterlogged computer. “I’ll send her a text now.” Adam retrieved his phone from his bag. He didn’t need to look her up in his contacts. He had her number memorized. “Anissa,” Adam said, “she can come now. 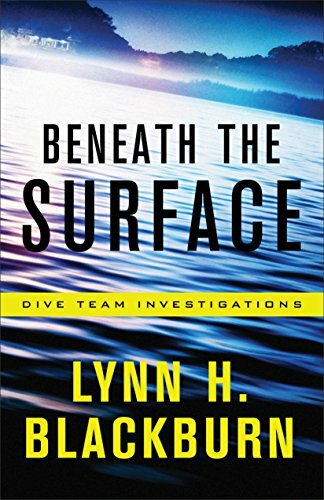 How long will it be before you bring it up?” Underwater criminal investigators never removed anything from the water. The laptop would need to be placed in a special box filled with lake water. Recovering anything from the hard drive was actually harder if it dried out improperly. Adam fought the grin that tried to cross his lips. This wasn’t the time for it. Someone had died. But at least he’d get to see Sabrina this afternoon. A shower of gravel drew his attention to the steep incline surrounding him. He gave Dr. Sharon Oliver, medical examiner, a nod as she inched her way down the embankment to the body. “Weren’t you on call last weekend?” he asked her. Gabe approached the body and snapped pictures as Dr. Oliver examined it. “I assume you’re talking about our hovering friends?” He glared at the heavens where a news helicopter circled. Adam studied the surface of the water, thankful he had an excuse to look away from the body. But Gabe’s low whistle was hard to ignore. Adam tried to ignore Gabe, but he didn’t want to be unprofessional. “What?” He didn’t turn. “Adam.” Gabe’s tone was . . . off. What was going on? Gabe shook his head and then nodded toward the body. Adam made eye contact with the doctor. She pointed to the victim. Why were they so insistent that he look at a dead body? He glanced at the victim. There, written in permanent marker on the victim’s abdomen, were six words. They killed me. Ask Adam Campbell. 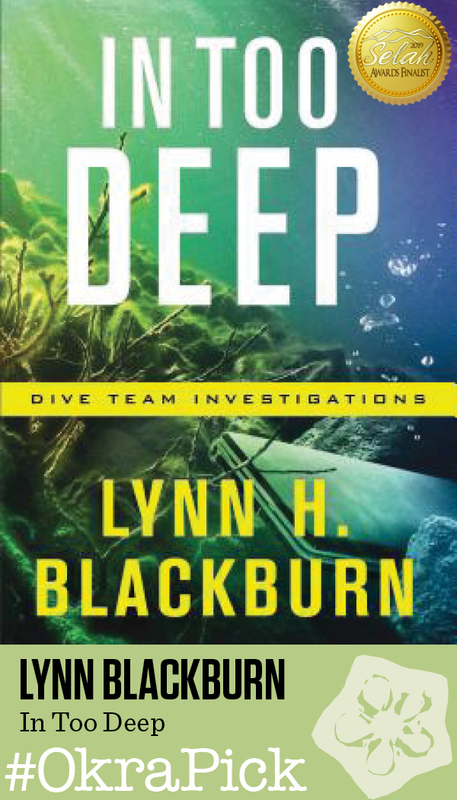 Excerpted from In Too Deep by Lynn H Blackburn. Copyright 2018. Used by permission of Revell. I’m so glad you stopped by! 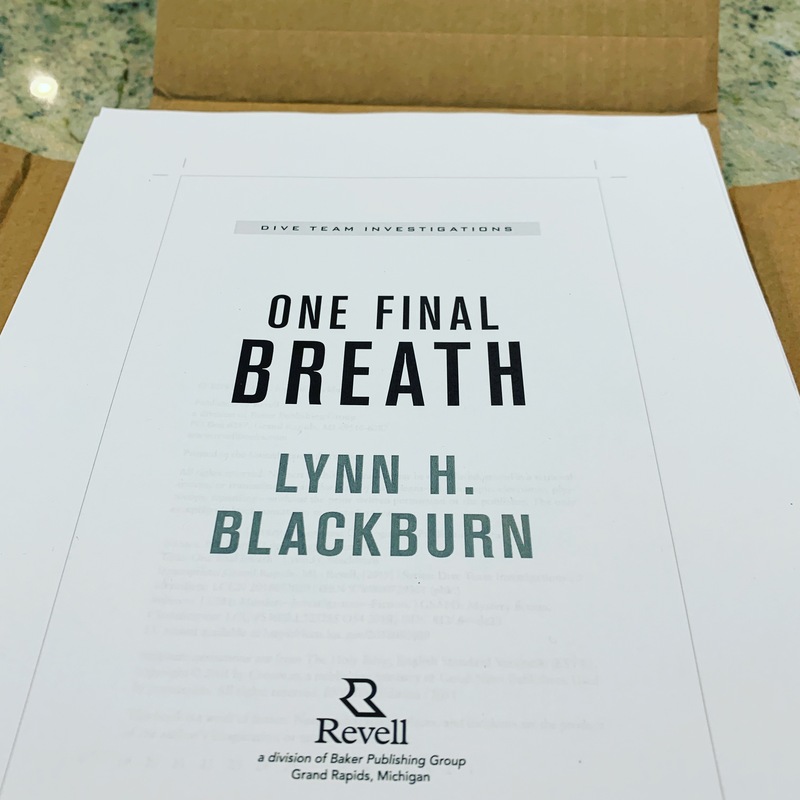 My name is Lynn and I write romantic suspense for Revell and Love Inspired Suspense. I believe stories are one of the most powerful ways we have to convey truth. After all, the Ultimate Storyteller chose to use stories—poetry, narrative, historical, prophetic—all kinds of stories and all pointing us to the redemptive hope we have in Jesus.